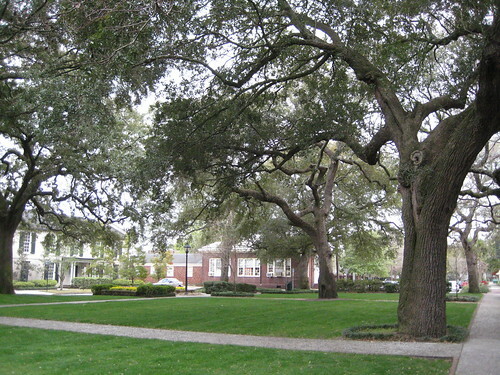 Savannah is known for its squares. 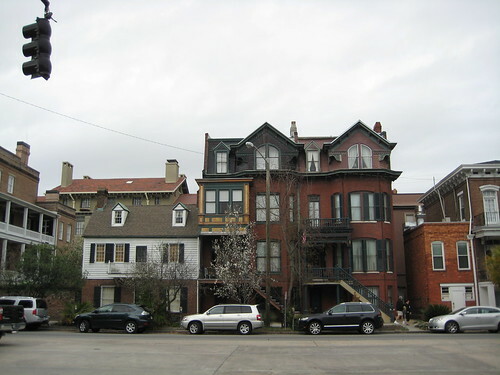 These twenty-two city-block sized plots of municipal property form the border of the historic district and are filled with gardens, grass, monuments, benches, paths, walkways, and all sorts of pleasantness. 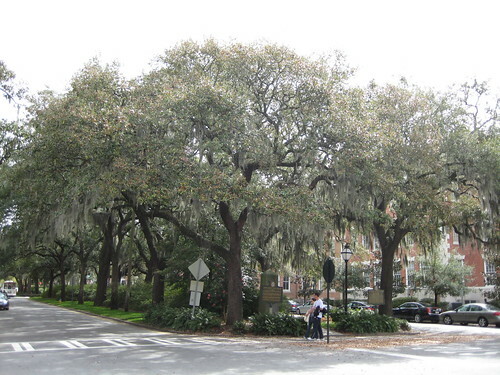 But as nice as these squares are, the historic district of Savannah is first and foremost a city of trees. 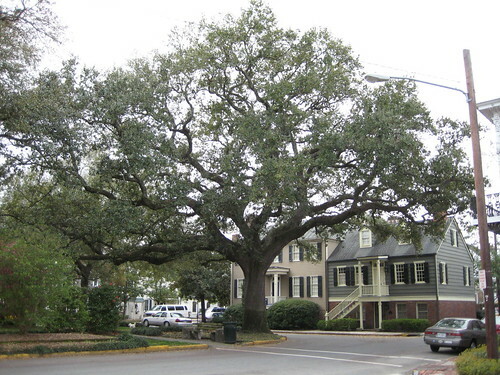 While many of the squares do feature various trees, they aren’t just limited to the squares. They overhand the streets, sometimes across numerous lanes of traffic. 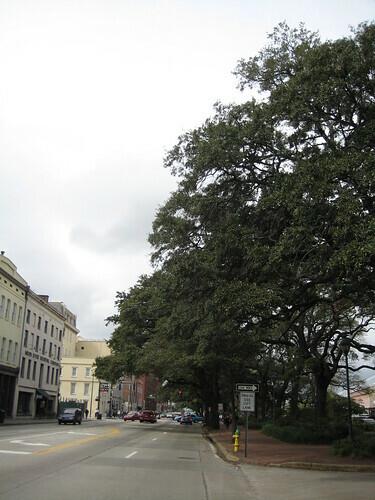 …or some that cover the entire street and some of the adjacent sidewalks. Even in the more residential areas, the sidewalks are broken in up by different varieties. 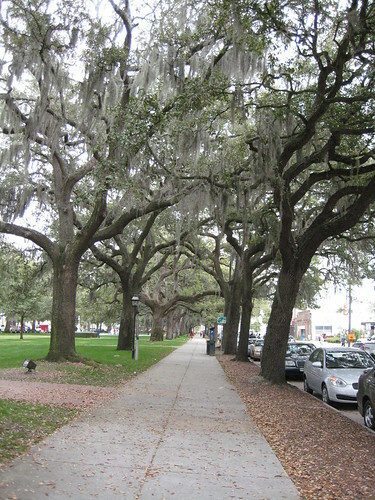 They form arches above the sidewalks , similar to the running paths adjacent to the reflecting pool on the National Mall. 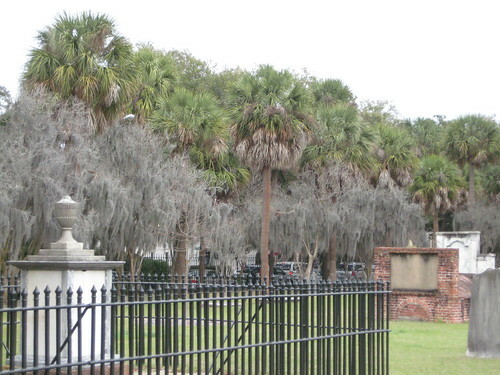 Even the cemetery at Colonial Park is lined by a row of palmettos. 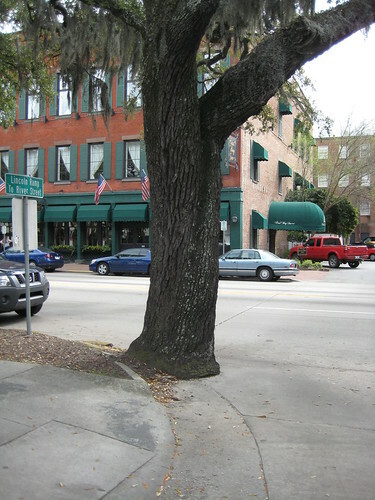 And this tree one here probably demands that the surrounding concrete and asphalt be replaced every couple years. 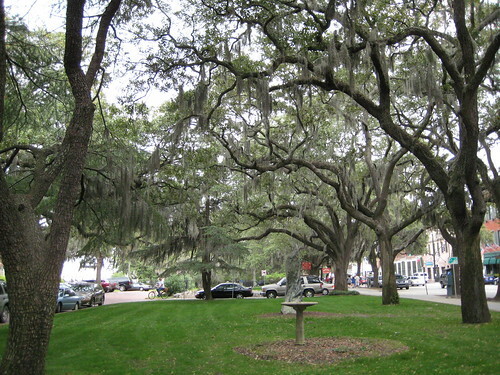 Savannah seems to be a places where they allow nature do its thing, without letting the city get in the way. A good thing, without a doubt.